Srikandi Abu Bakar: Would You Marry Me..? Sweet and sour. For those who afraid their purpose will be rejected, try these. Good luck! 1. Marry me so I don't have to lower my gaze every time you walk into the room. 2. Would you like to help me wake you up for Subuh prayer? 3. 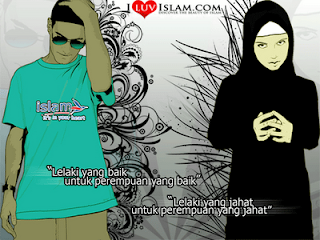 Girl, when I saw you I said masha-Allah, then I said insha-Allah. 4. Are your feet tired? Because you've been performing Tawaaf in my mind all day long. 5. How would you like to help me fulfill half of my deen? 6. You are the reason hijab was mandated. 7. Allah created everything in pairs, so what are you doing single? 8. I'd like to be more than just your brother in Islam. 9. Do you believe in the hereafter? Oh you do? Then you know what I'm here after..
10. Girl you put the fit in fitna.